Cases are that you may have to get a video editor for Mac to present it to others or share it to websites with strong visual shock. Or you have to shrink its original size and output it in high quality with manageable preservation. Whatever the reason, you have to edit your video files when necessary. To have a good time in editing and creating videos in personalized way, you should refer to this list here for better consideration. Joyoshare Media Cutter for Mac is an outstanding tool that delivers an all-in-one platform for you to manage your video files. With this Mac video editor software, you can cut needless portions, crop certain area, trim specific section, rotate different degrees and merge video clips in your own way. In addition to these basic features, it also enables you to take snapshots, apply video & sound effect, adopt special frame, add watermark to video, insert subtitle, etc. Similar to other video editors, it comes with controller so that you can change the brightness, contrast, saturation, hue and aspect ratio readily. Importantly, Joyoshare Media Cutter for Mac can strikingly support tons of video formats, like MP4, M4V, MKV, MOV, WMV, AVI, ASF, OGV, FLV, SWF, 3GP, TS, TRP, F4V, etc. Likewise, you can get right to reset codec, resolution, bit rate, frame rate, channel, etc. for your output format. When you export your completed file, you can freely decide to convert it to new format or transfer to portable device. Here Apple's own movie app, iMovie, is absolutely ranked at the top of this list. With simple and clean interface, this video editing software for Mac is quite easy-to-operate. It is well designed with audio editing, color correction, built-in sound effects and voiceover recording and more functions. By making use of it, you are also allowed to add animated credits and titles to your video, utilize Picture-in-Picture capability, change the playing speed, add background music, etc. You can feel free to export video to your iPhone, iPad and Apple TV or share it to YouTube. 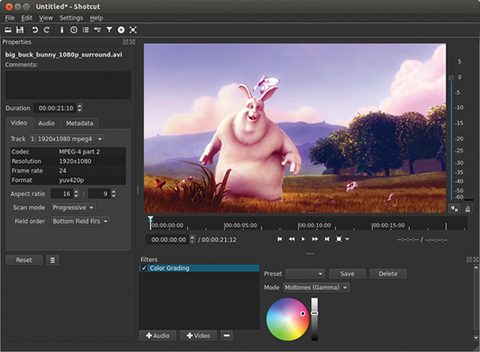 Shotcut is another Mac video editor provided for you to choose. It is a free open source with great-looking user interface. Taking the aid of it, you can drag and drop files from file manager, load and play complicated MLT XML file as a video clip, utilize multitrack timeline with thumbnails and waveforms, etc. Additionally, it is capable of detaching audio from video with ease. There are diverse audio and video filters you can apply to create eye-catching effect for your designated video. One of the remarkable characteristic is that you can make unlimited undo and redo for playlist edits, including a history view as well. As one of the best Mac video editing software, Avidemux can help you quickly edit files in different types, like MP4, AVI, DVD compatible MPEG, ASF, MOV, AAC, AC3, JPG, etc. It directly shows you a straightforward solution to trim footage and rearrange segments. You can also full control your video and audio encoding as it will not confined to ask you for a selected destination format. That is to say, you can change the configuration info in your own way. Besides, you can as well benefits from its handy filters for get rid of noise and other irritants. 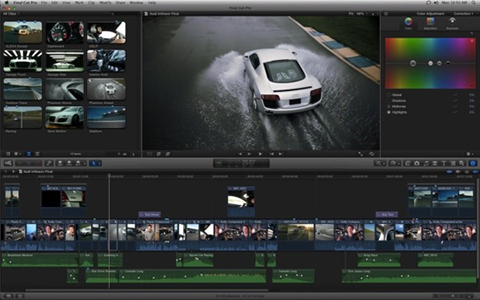 Final Cut Pro X is a full-featured video editing program for Mac. Thanks to the innovative acceleration technology, it offers capability to execute any tasks at ideal speed. Furthermore, you don't have to worry about the sync problem when you set about trimming and moving video clips. It worth to mention that Final Cut Pro X is fit out with multicam editing tool that assist you to view up to 16 angles at a time in the Angle viewer. To make your videos high-end, you can create stunning effects along with sweeping graphics with motion. Or you can customize export settings at your own will. 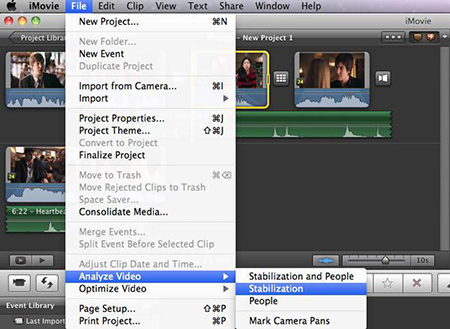 This Mac video editing software, Lightworks is more suitable for video editing experts. If you are new starters, you might have no idea on how to manipulate it owing to its overwhelming operating interface. Regardless of that, this brilliant tool makes it is feasible for you to add real-time effects, insert voiceovers and correct colors. By utilizing it, you have right to access the royalty-free audio and video content. 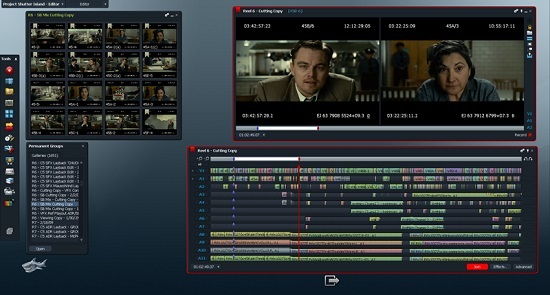 A large quantity of users may wonder which tool is the best video editor for Mac. However, fact is that only when you get best service and superb user experience can the one you select be a decent program. It depends on what your real requirements are and what level you stay when it comes to video editing. For novices, you can firstly try Shotcut; this free program is relatively simple to use. For professionals, Lightwork is fairly dedicated to operate. Of course, if you feel like to get marvelous editing functions, you ought to try Joyoshare Media Cutter for Mac.